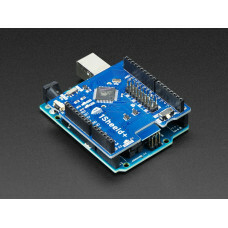 The Bluetooth Shield integrates a Serial Bluetooth module. 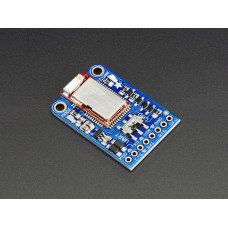 It can be easily used with Arduino /Crowduino for transparent wireless serial communication. 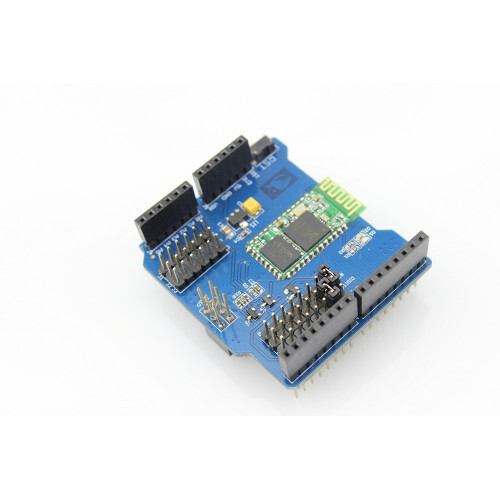 You can choose two pins from Arduino D0 to D7 as Software Serial Ports to communicate with Bluetooth Shield (D0 and D1 is Hardware Serial Port). 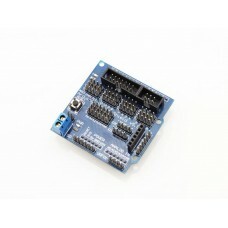 It also expand five analog IOs that you can use it to connect other devices. 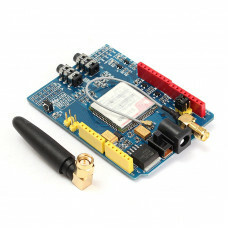 The Bluetooth Shield could be setting to Master or Slave by user. 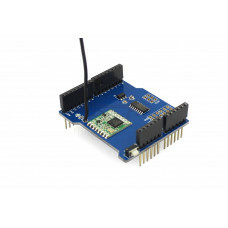 Serial port Bluetooth module is fully qualified Bluetooth V2.0+EDR(Enhanced Data Rate) 3Mbps Modulation with complete 2.4GHz radio transceiver and baseband. 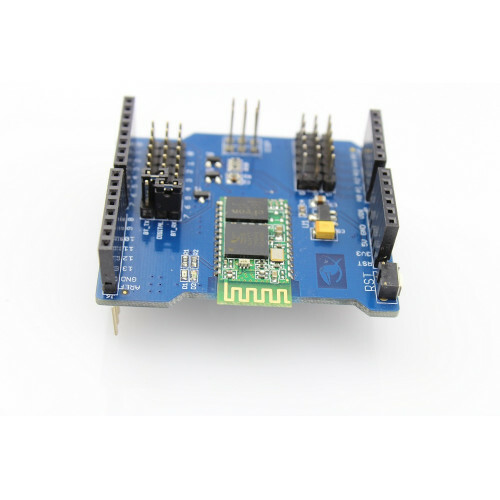 It uses CSR Blue core 04-External single chip Bluetooth system with CMOS technology and with AFH(Adaptive Frequency Hopping Feature). 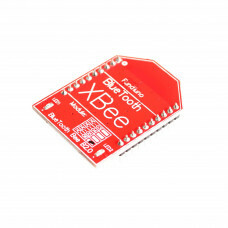 Standard Shield designed that you can use it easily. 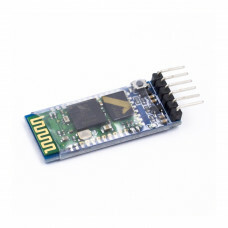 UART interface (TTL) with programmable baud rate (SPP firmware installed). 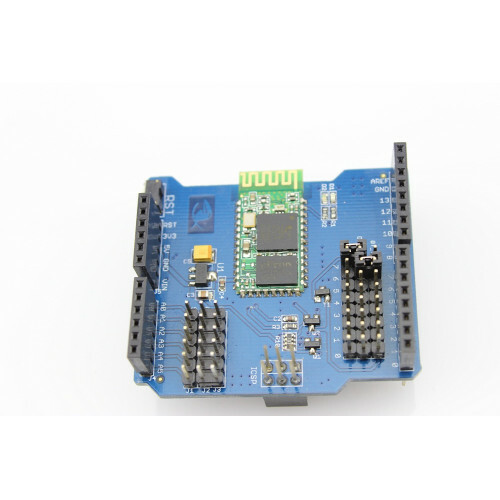 Default baud rate: 38400, data bits: 8, stop bit: 1, Parity: No parity. A full set of configuration commands. 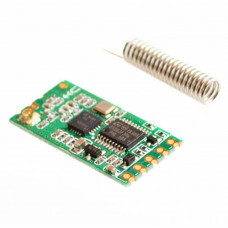 Only between master device and slave device can be paired with each other. Between Master and Master devices or Slave and Slave devices can't be paired each other. 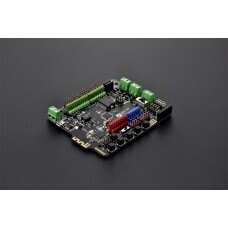 The Slave mode could be paired with PDA, PC etc. 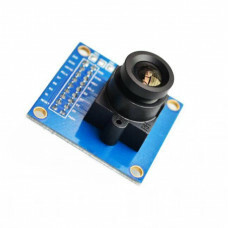 The OV7670 image sensor is a small size, low voltage, single-chip VGA camera and CMOS image processo.. 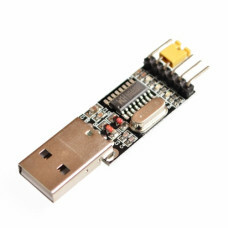 It's a small USB to TTL serial tool, using the CH340G chip. 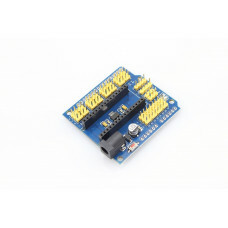 You can use it to connect some serial de.. 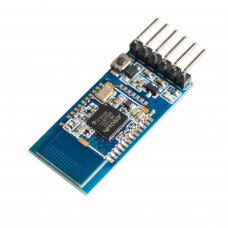 This module uses the newest 2.4GHz transceiver from Nordic Semiconductor, the nRF24L01.This transcei.. 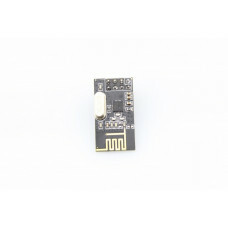 This small size Bluetooth HC-06 Serial Module TTL transceiver module allows your target device to bo.. 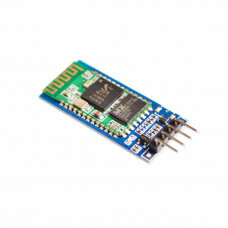 The HC-05 Bluetooth Module can be used in a Master or Slave configuration, making it a great sol..
Add Bluetooth capability to your computer super fast with a USB BT 4.0 adapter. 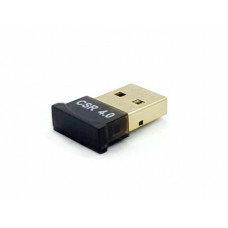 This adapter is back..